This was a Charlie Don't Surf village sweep. The Free World forces' objectives were to capture the rice caches and to kill Commies; the Communist objectives were to kill 30% of the Capitalist dogs and protect the rice. The US troops consisted of three platoons of infantry backed by some on-call artillery. The PAVN forces comprised two NVA platoons, one VC platoon, and three bunkers with two light and one medium machine gun. 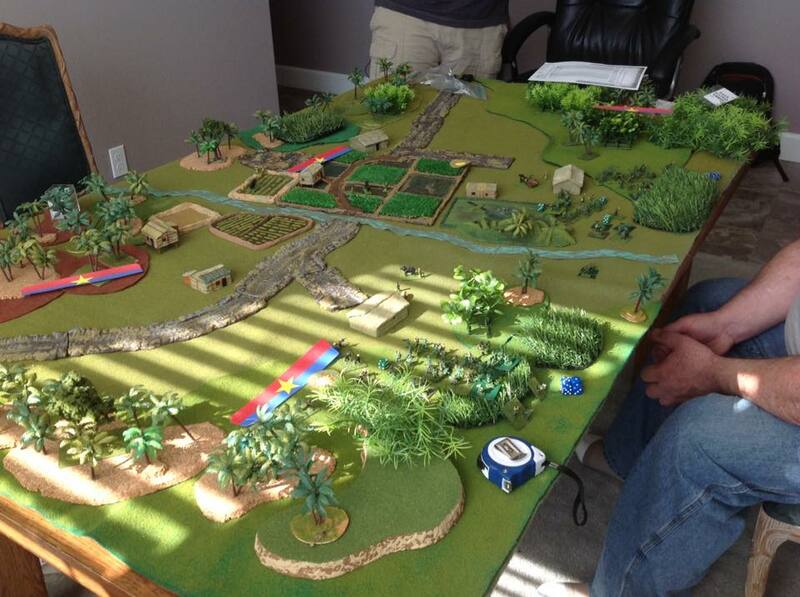 The US forces advanced in and got ambushed. The PAVN managed to hold out for a few turns until the superior firepower of the US forces started to have an effect on the PAVN morale. It was a close run thing, with the PAVN inflicting 22 casualties on the Americans...but the 33 PAVN casualties and destroyed rice caches brought a win for the Americans.